A watercraft, e.g. a passenger vessel, a ferry, a hazardous-substance freighter or the like, with a deck and with a buoyancy chamber in the deck, it being the case that, in a first operating state, the buoyancy chamber contains air, is characterized in that, in a second operating state, the buoyancy chamber is filled with a foam which has a high cell volume with closed cells and a dimensionally stable state of aggregation. Making ships almost unsinkable is a good argument for cruises, containers and other huge vessels on sea. We prefer sale but are open to all other ideas. 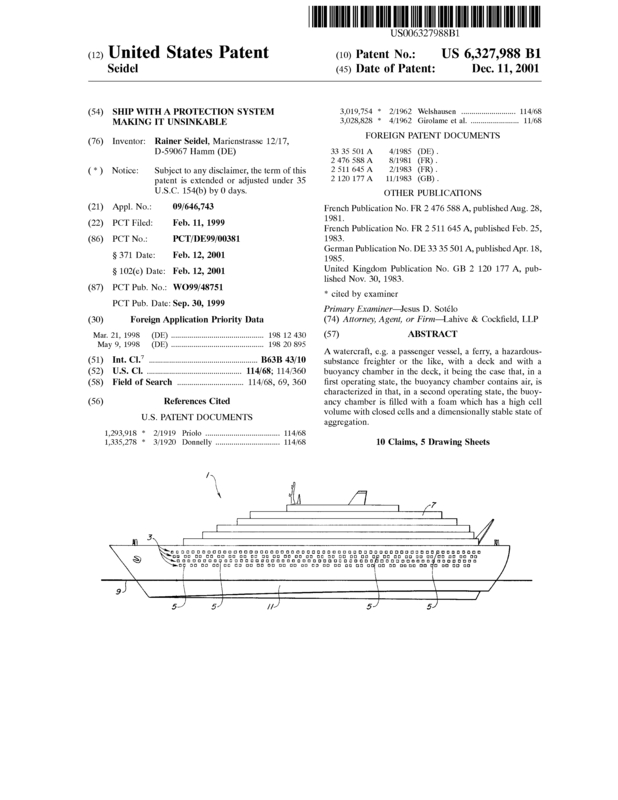 Page created at 2019-04-26 18:03:45, Patent Auction Time.